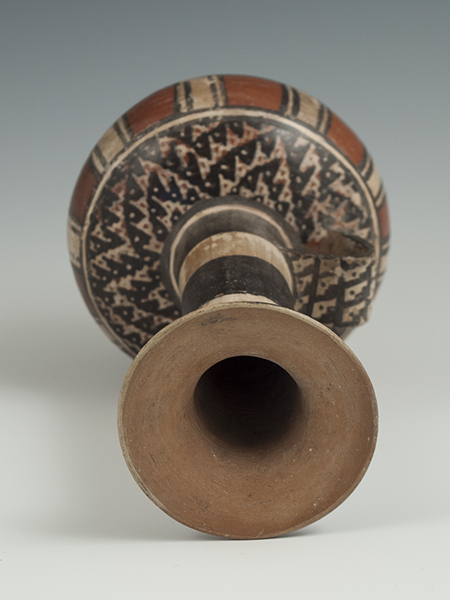 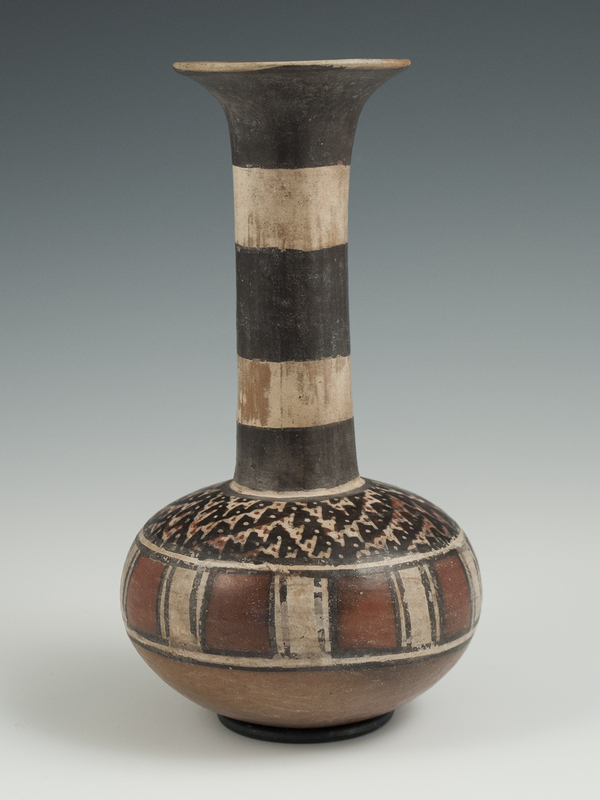 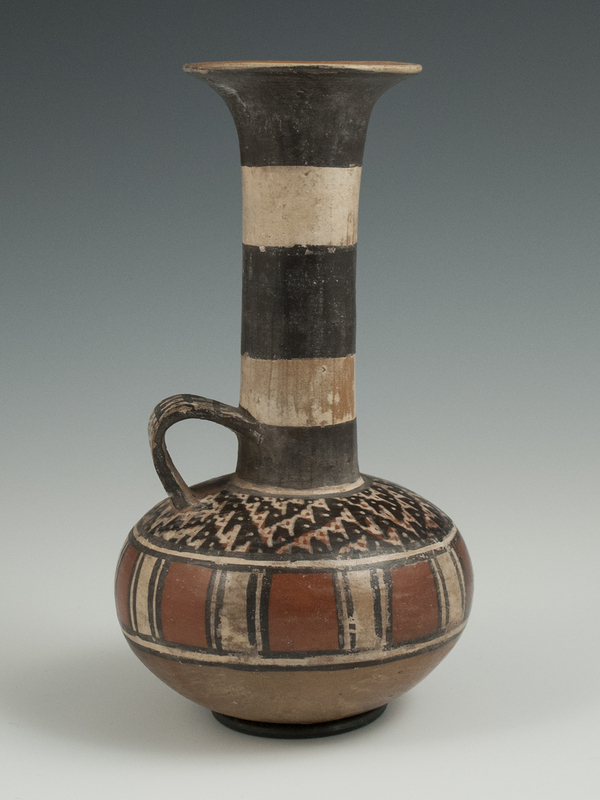 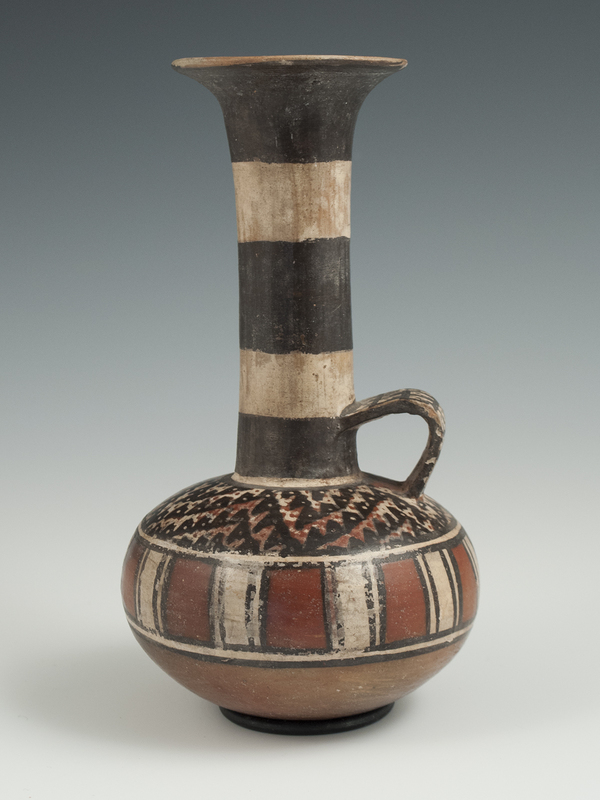 An unusual globular terracotta jar with a tall neck, flared top and loop handle, painted on the shoulder with a stylized meander of bird's heads and on the equator with a bold vertical striped pattern in brown, black and white. 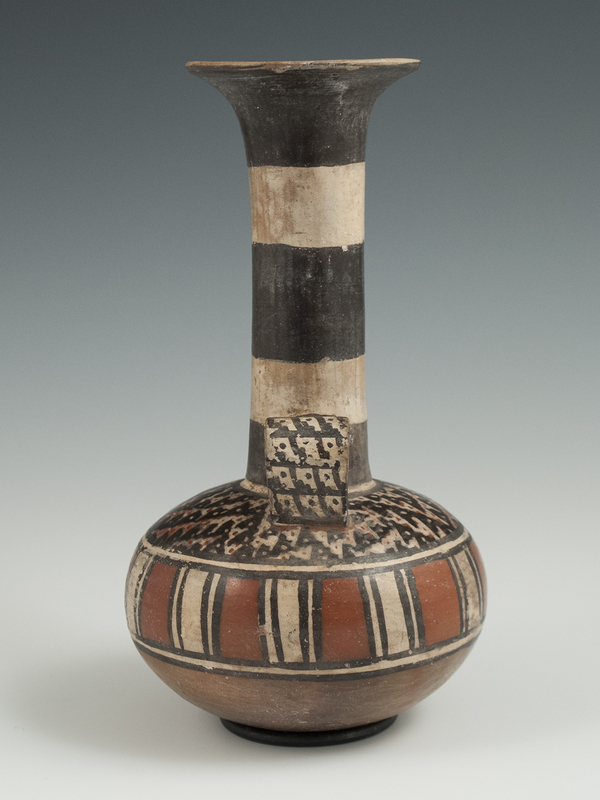 The neck is painted with black and white horizontal stripes with the rounded bottom in the original buff. 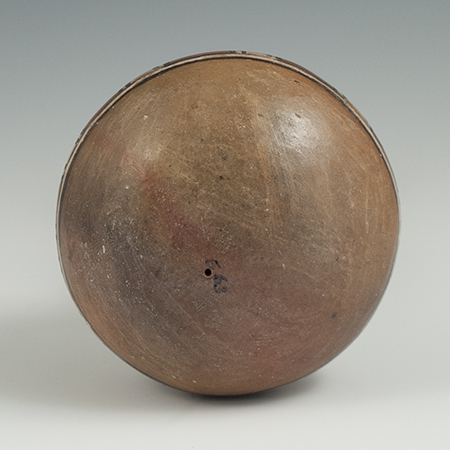 There is a small hole on the bottom marked E63, possibly indicating the administration of a TL test.